This Sunday, celebrate dad in style by surprising him with any one of these outstanding gifts that will help him tap into his sense of food enthusiast adventure. 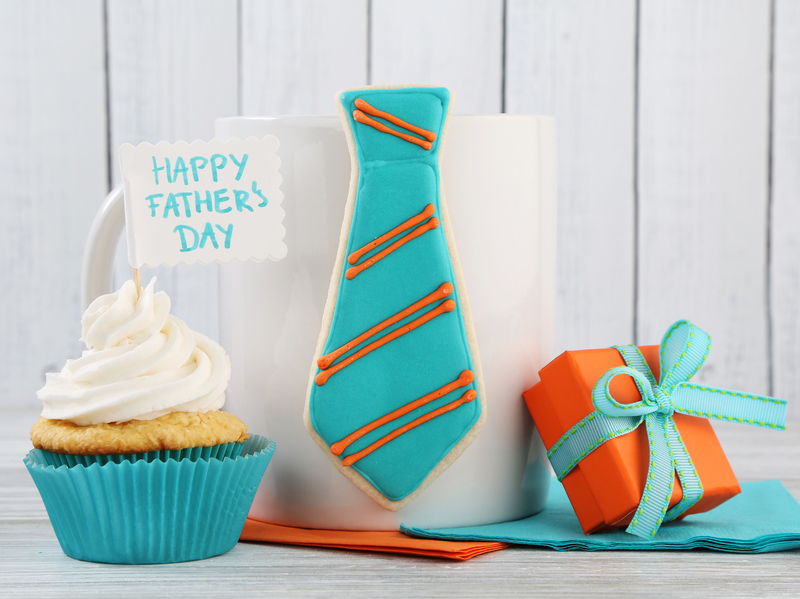 Whether he's into beer, grilling, coffee, or even a great glass of whiskey, there's a little bit of something for every dad on this list. Take a look! These sleek designer aprons can be used to shield Dad's clothes during any number of projects--but in the kitchen or grill-side is where they truly shine. Hedley & Bennet began as a simple desire for higher-quality aprons and has since grown to be a leader in desirably designed and durable aprons across all ranges of occupations throughout the country. Forget watered-down whiskey. If your dad is at-all a whiskey fan, he's likely experienced his "on the rocks" beverage turning into a thin, watery mess of diluted flavor. Some people like an extra splash of water added in to temper the spirit, but you should be in control. Look no further than the Whiskey Wedge, a mold that creates large ice cube designed to melt exceptionally slowly. Plus, this ice block doesn't involve any small ice shards that can be annoying when Dad tips the glass for a sip. Cheers to that.. Especially when it comes to gifting, people seem to be all about helping each other claim items as mine--personalizing anything and everything, from car decals to bags, to basically anything within arm's distance. Monograms are fine and good, but there are also subtle options for a personalized gift. Case in point: this cutting board that can bear the shape of Dad's home state (or a state he just happens to really like). This versatile platform will be his perfect companion when at the grill or when it's time to haul out the cheese and crackers for game day (we know your pops is that kind of sophisticated). AHeirloom can create any state shape as a top-notch cutting board. P.S. these also make for super cool wall decor when not in use. What's better than bacon? Not much, we know, but what about homemade bacon? Sometimes, things just taste better when you get to be a part of the process, such is the case with The Original Baconkit, an artful toolkit that helps you to transform cured meat-making from butcher's work to a fun DIY weekened project. The kit is simple, and comes with very well-designed, easy-to-follow instructions with peppered with helpful visuals and topped with one of the most motivational promises ever, "There's bacon in your future." For the beer lover, a glass is usually preferable to a can. For some people it's an actual flavor preference, the bubbles get a chance to rise and form into a foamy head on top. For others, it's merely the aesthetic, beer just looks great in a glass. But one thing about glass is that it breaks when dropped and you can't take it to the beach or pool. This summer, the Govino Beer Glass can be your beer's (and father's) best friend with its shatterproof design, perfect size, and stylish look. Hot coffee and hot weather don't always mix so well. Thus, summer is the season to transition to cold caffeine. Instead of having him make a daily coffee run, raking up the last of his pocket change to pay for another iced latte, give Dad the might gift of cold brewed convenience. These cold brew coffee concentrate bags from Grady's are epically easy to prepare and produce an intensely smooth and refreshing cup that rivals what even the hippest barista can pour. There's an easier way to monitor the grill this summer. Make dad's home grill a "smart" grill by hooking up his Android or iPhone device to the iGrill. The device keeps track of temperature and keeps you in the loop when you step away for a minute via a responsive app. If precision grilling is your dad's game (or should be), this is a great tool to add to his arsenal. Tessemae's All Natural is a company that works solely with wholesome, all-natural ingredients to create exceptional sauces and condiments without all of the extra fillers and weird junk that most commercially-produced supermarket products contain. Their new organic grilling line is sure to put a smile on Dad's face--piling on a little extra sauce without shame is always reason to smile. Environmentally friendly and stylish to boot, The Joco Cup is a thoughtful find for the eco-concerned dad on-the-go. Annually, over 500 billion disposable paper and single-use plastic cups are used worldwide, which equates to the loss of 50 million trees cut down for that purpose. The Joco Cup is not about that life. With its smooth glass design, each cup is reusable, customizable, and makes the perfect vessel for a to-go cup of the cold brew mentioned above. Send Dad out into the world knowing that he is helping it... with his cool looking cup. The folks at Man Crates have created something genius--a gift paclaged in a box that must be pried open with a crowbar. Manly manhood at its finest, right there. Despite the impressive brute strength required to open his gift in front of all to see--that won't even be his favorite part (hopefully). The contents inside are pretty great too.